Every state has their own official flower, official tree, and official bird among many other official things. 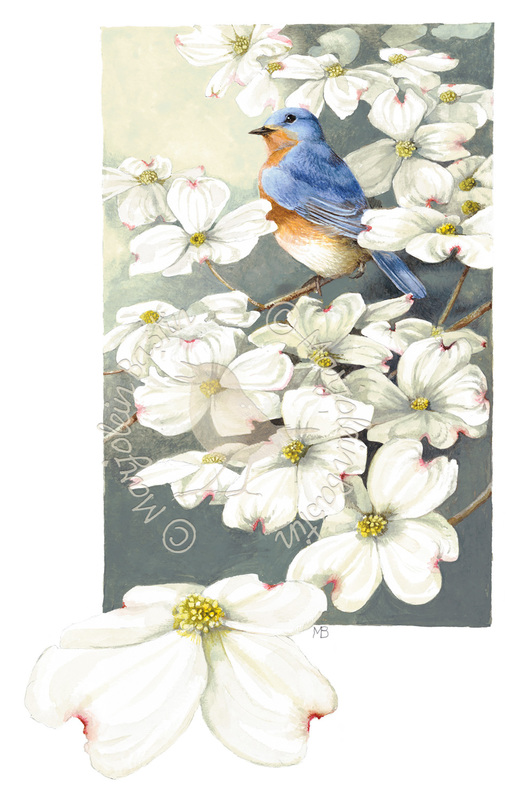 Missouri’s state tree is the Flowering dogwood and the Eastern Bluebird is the official state bird. The multitude of white flowers of the Flowering dogwood behind the house look like a snowstorm. While I am admiring the incredible flower splendor a Bluebird flies by. Naturally he lands in the dogwood. He knows he is in Missouri and that is where he is supposed to be.